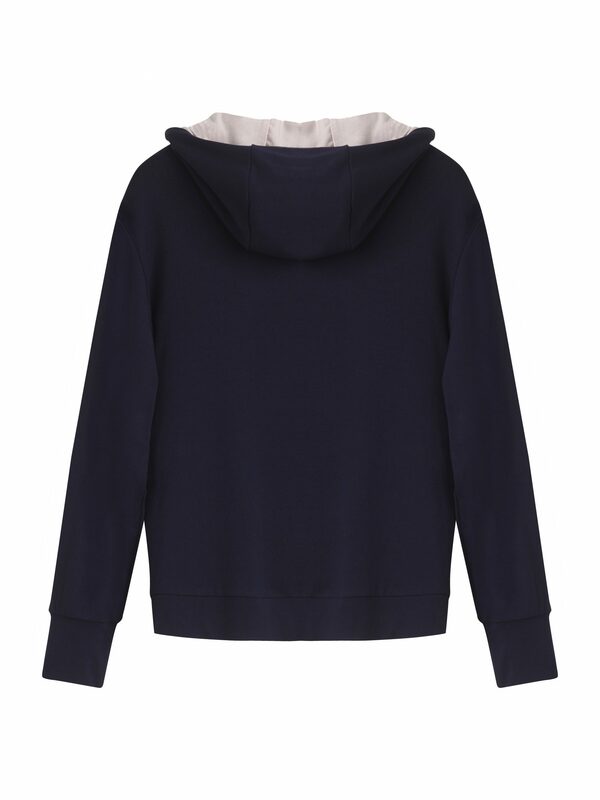 Navy zip through lightweight hooded top with dusky pink hood lining and piping. 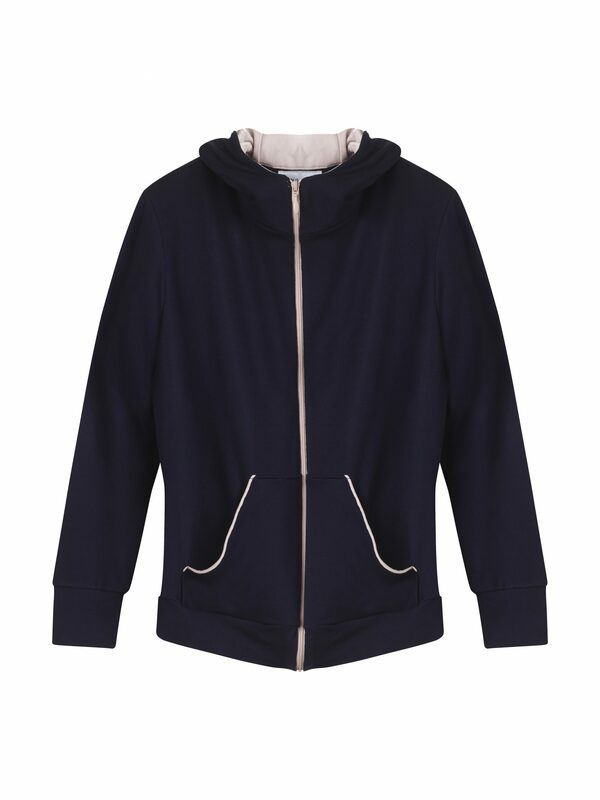 Our lightweight hooded zip through jacket, has carefully crafted design details like the contrasting zip, dusky pink hood lining and front pockets trimmed with dusky pink piping. It’s made from our beautifully soft viscose jersey and is designed to have a slightly more casual, loose fitting silhouette. It looks great worn over any of our tops or dresses and co-ordinates perfectly with our navy Sienna Joggers and Jean Jumpsuit.